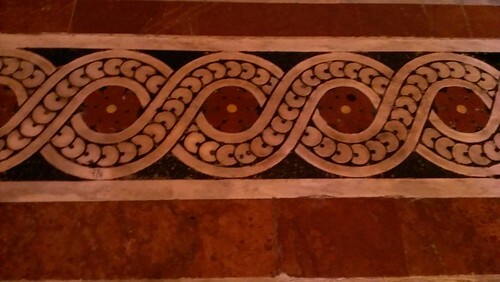 Now that the postcard has finally arrived I can share some patterns I found in the Duomo di Siena. I started off using the book One Zentangle A Day but have fallen way way by the wayside. Zentangling’s premise is that you can produce quite complex interesting art “one stroke at a time” – there is a method that helps you build up patterns by following a series of strokes. The various different patterns – called tangles – are “taught” by using diagrams like this one that shows you what order to do the strokes in. Tanglepatterns.com is a brilliant online index of loads of different patterns and places to find their step diagrams. At the time I found out about these for the first time, it had recently been creativity week at school – a system we use where all the residential trips and work experience placements happen at the same time to avoid lots of small groups of students being out at different times. Those staff and students left in school have a week off timetable doing something completely different. So I half wonder whether I could use this if there ever comes a year when I am in school and not out on a FL visit. Since starting, I have been intrigued by the patterns I see around me and wonder whether they could inspire new tangles. Re-reading the instructions about the difference between a tangle and any old pattern perhaps not. Although I have spotted interesting patterns all around, the cathedral in Siena was simply on another planet. Every available surface is completely covered in art, much of it representative, but much also based on recurring patterns. Indeed as an English protestant, used to much plainer places of worship, I kinda felt the Lego cathedral was a little de trop. 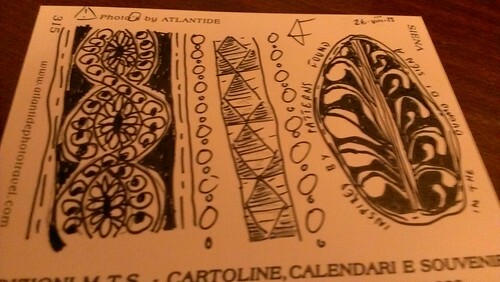 In any case, here are the tangles I drew on a postcard to similarly afflicted friends, followed by bad, flashless, cameraphone pictures of the things I saw that were the pattern in the wild, in the cathedral. 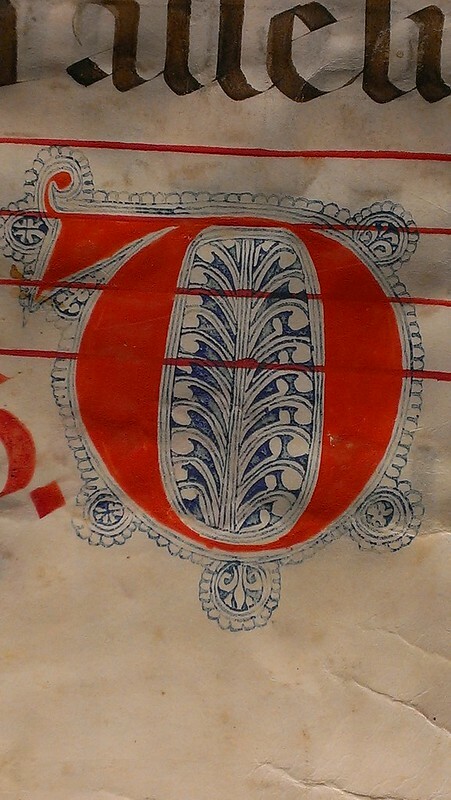 Finally the right-hand O came from an illuminated symbol in a beautiful manuscript of plainsong in the crypt. 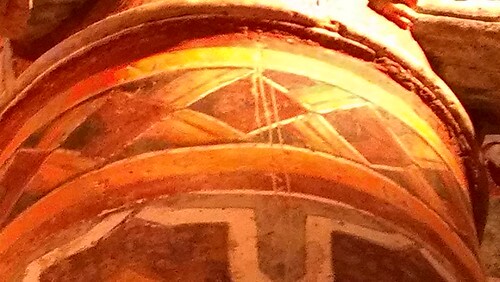 To loop it all back to education – and even to languages – a wonderful post by blogger and primary languages expert Clare Seccombe, who is currently entering a competition inspired by the Lindisfarne Gospels (which I failed to go and see whilst in Durham this summer) and European Day of Languages.